Chef Ari with parents, wife, and daughter. 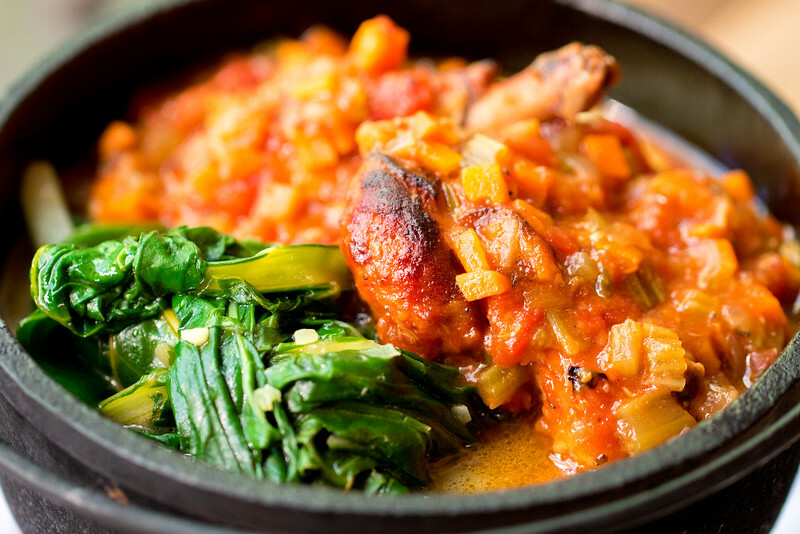 What better way to get started with a new job than a fabulous meal from Healdsburg's Scopa? 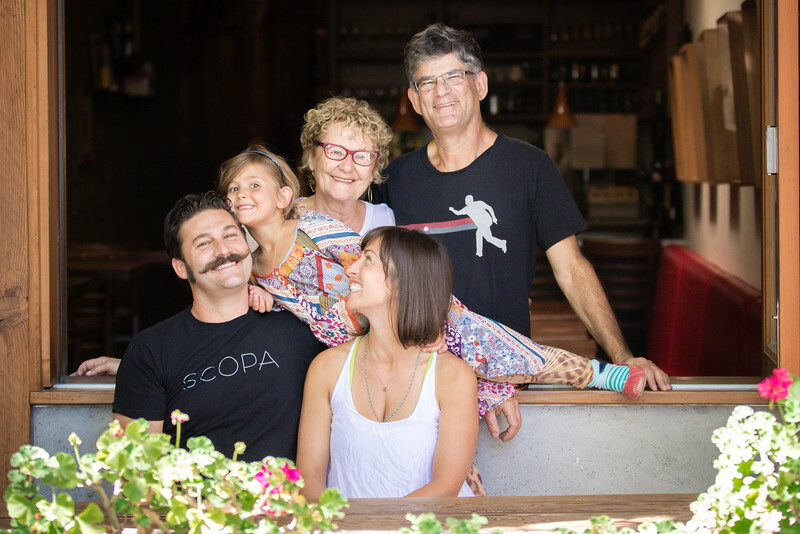 My first assignment for Sonoma Discoveries magazine took me to the brick-walled dining room of Scopa. I started the shoot with a whimsical family portrait, after which chef and owner Ari Rosen was able to show me how they hand-make all of their pasta in a narrow hallway that runs along the kitchen. He plated two dishes for me to photograph, Nonna's Tomato-Braised Chicken and Tomasso's Sugo Calabrese which he was kind enough to let me take home. The two dishes were more than enough to share with my whole family so I'll be sure to return to this incredible local gem.